I decided to order a bunch of vanilla beans to use for various cooking and brewing related projects. 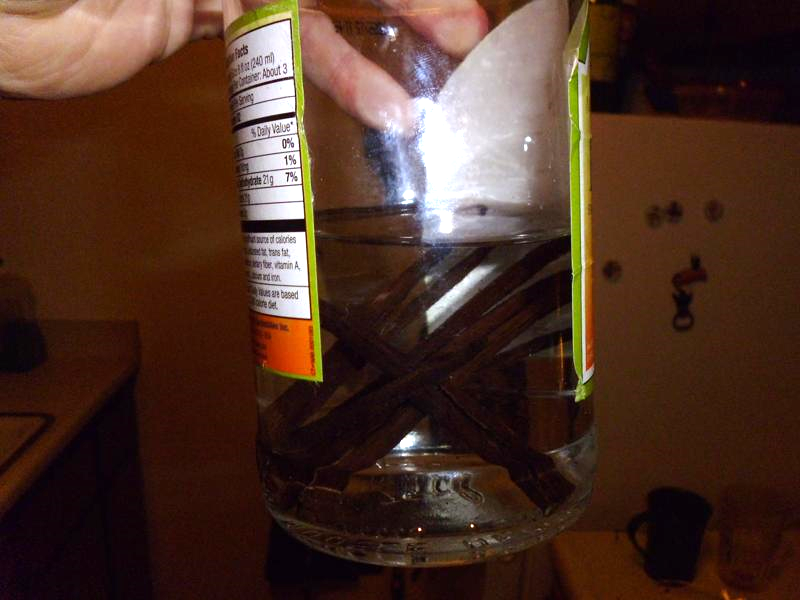 My first project with the beans was to make some vanilla extract. Vanilla beans soaking in a closed container. 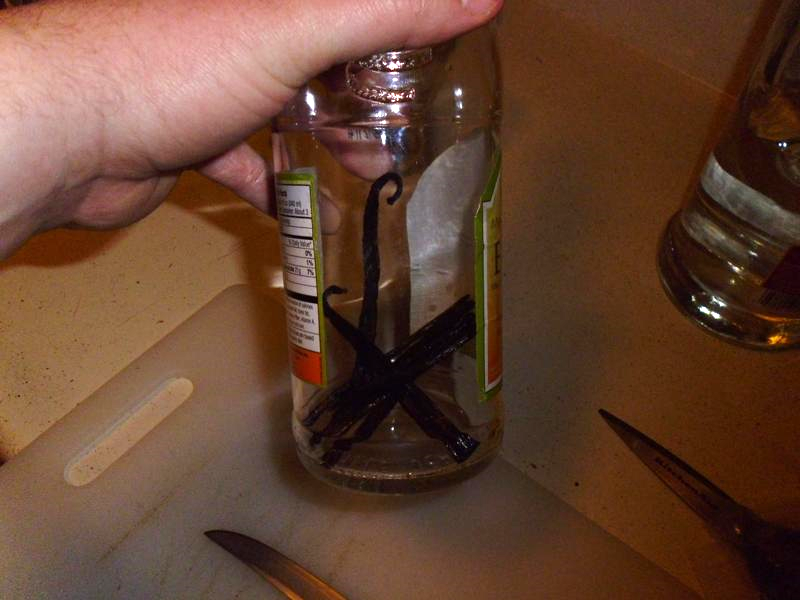 For this recipe, I will be using 4 vanilla beans for every 8 ounces of solvent. In my case, this will be vodka. You can do vanilla extract with different spirits like vodka, bourbon, or brandy, but I think sticking to vodka for my first time trying this. I heard bourbon extracted vanilla tastes really good, but I'll leave that one up for another day. The reason you use vodka to extract the beans is because vanillin, the compound responsible for vanilla flavor found in the beans, is much more soluble in ethyl alcohol compared to water. Any pure grade vanilla extract must contain at least 35% alcohol by volume. The recipe is simple. Take the 4 vanilla beans and make a cut lengthwise down the bean. I also sliced my beans in half so they would be fully submerged by the vodka. Place the beans in a mason jar, swig-top bottle, or similar container. Add in the vodka/liquor of your choice. Be sure that the vodka completely submerges the beans. Seal the container and set aside in a dark place for 2 months. I'll update this once my extract starts to change color. My extract should be ready to use on March 5. Lighting made it look orange, but it's a light brown. Almost 3 weeks in and the extract is darkening. It's been 2 months, it's time for a taste test. I am comparing it to a vanilla extract from the store. The verdict: The store brand one is a stronger overall flavor and is sweeter, mine has a stronger vanilla flavor. Of course, the off-the-shelf stuff has sugar as an ingredient, which would explain the source of the sweetness. Both of them are delicious, but I'll be using my homemade stuff for a while. I can always top my bottle off with vodka to keep my supply going for a while. Anyone have any suggestion on what I should cook with it? I think cookies would be wonderful. Yea man, go for the cookies here is a good recipe to just focus on the flavor of the vanilla!